Organization dedicated to develop activities related to Tango in its diverse artistic expressions. The point of origin is Carlos Gardel, Carlitos, El Mudo, the Morocho del Abasto, the Troesma, or with the simplicity of the birds "EL ZORZAL" as he was baptized by José Betinoti. Remember and recreate his life and artistic legacy, emphasize and revitalize his work, as creator of the tango song and innovator of folklore. Today Gardel and Tango are an expression of the authentic feeling that several generations have bequeathed to us. That is why we consider it necessary to exalt it as artistic, cultural and social heritage. Promote our citizen music in its diverse expressions, promoting the creativity of our artists, favoring their recognition and dissemination both in our country and abroad. * Carry out exhibitions and presentations in official and private areas, including artistic activities linked to tango in its origin for the preservation and dissemination of cultural heritage. * Disseminate the contents of the organization to other countries. * Presentations with important artists of the medium such as singers, tango dancers, actors, writers, historians, etc., leaving open the possibility of promoting new artists. * Organization of cultural workshops in public or private organizations. At the beginning of the 1911 decade, the duo Gardel-Razzano was formed, consisting of the singer Carlos Gardel and the Uruguayan José Razzano. The duo lasted until 1925, the year in which Razzano, due to problems in his vocal cords, left singing. Gardel is the best-known representative of the genre in the history of tango. Maximum exponent and initiator of the "tango canción", when in 1917, with lyrics by Pascual Contursi and music by Samuel Catriota, the first sung tango of the story "Mi Noche Triste" was born. From his hand he made possible the expansion of popular music, emerging names that would become myth: "Contursi, Celedonio Flores, Lepera, Mansi, among many others". He shared friendship with world idols such as Charles Chaplin, Maurice Chevalier, Frank Sinatra, Julio De Caro. Definitely Gardel is universal, exceeds borders, time and epoch. He is the Ambassador of our Popular Culture of great worldwide repercussion. The singer is myth and legend that still maintains its validity in time. His official birth says he was born in Toulouse (France) on December 11, 1890 and the Uruguayan theory holds that he was born in Tacuarembó (Uruguay) on December 11, 1887. Although there is reliable evidence of his origin, it is a mystery even these days. He had his childhood and adolescence in the Abasto, he was Argentine nationalized in 1923. He was a Buenos Airesian by adoption and he sang to Buenos Aires like no one else. He died in a tragic plane crash on June 24, 1935 in Medellín, Colombia. Actually their rest are in the Cemetery of Chacarita of Buenos Aires, Argentina. "It was the year 1929 and I personally met Carlos Gardel at the Palermo racecourse. We always went with who was my friend Juan Maglio (Pacho) and from that moment we always met with Carlitos who was a big boy, of very good character and better person. Therefore I can tell you that Saide Abdalá has done one of the most faithful and real works on the figure of our beloved Carlos Gardel. " Gabriel Clausi (Chula), bandoneonist, director, arranger and composer. 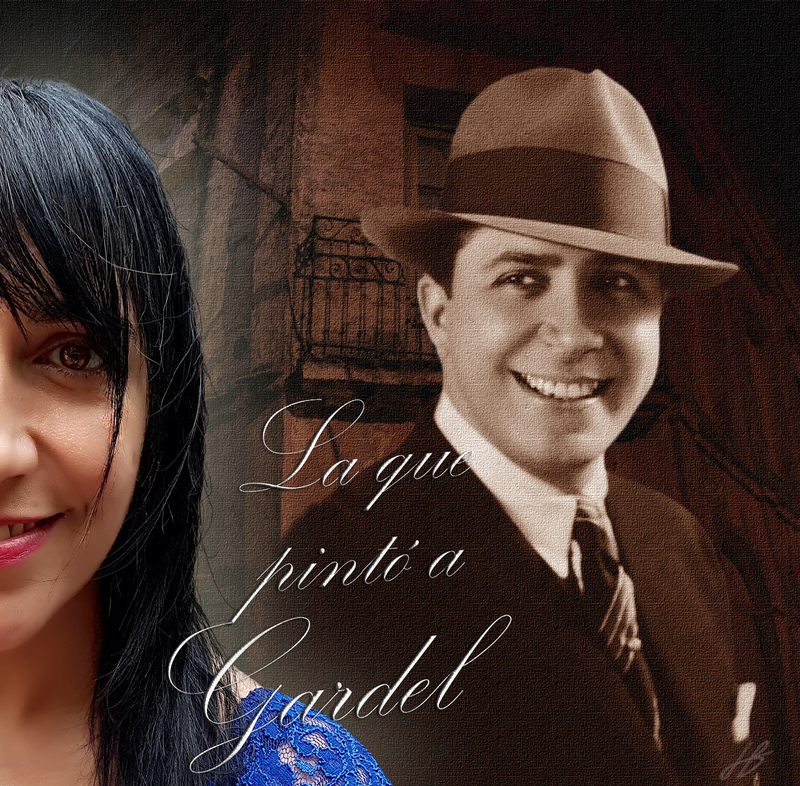 "When Tito Lusiardo met Gardel on the heights, he asked him about Pascual Contursi and they remembered" My Sad Night "in that Esmeralda Theater where today Gardel would thank Saide Yamila Abdalá for his plastic creation, perpetuating it". seguí guitarreando con grupos sensibleros". "Thank you for your distant works Amiga, self-taught life, the admiration of Alberto Mosquera Montaña, poet, illustrious citizen of the city of Buenos Aires." "I see in that youth so splendid of that creature, that he does the things he does, that one can die calmly because he knows that there are people like Saide Yamila who wants what is ours, who loves our artists." Who would have imagined that this woman with small hands and graceful figure, could have made such a monumental collection and dedicate the highest exponent to these days of our Culture. "I notice in our artist a singular admiration for the work of our great singer, which added to hers artistic conditions allows to enhance the result in an admirable way, the conformation of this exhibition has provided, in addition to the pictorial sequences, the possibility of showing elements that give a colorful period, and I have been fortunate to be able to contribute to it some original records that are testimony of the evoked time ". Oscar del Priore poet and writer. 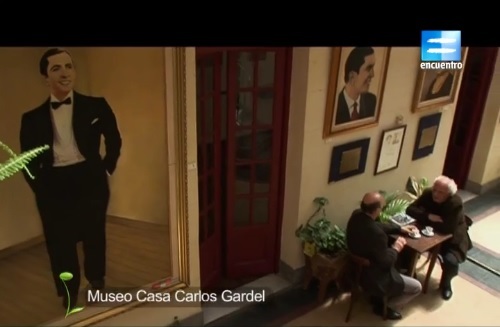 Documentary dedicated to Carlos Gardel. Oils exhibited in the Carlos Gardel House Museum. Note made by Telesur during the Night of the Museums at the Carlos Gardel House Museum.